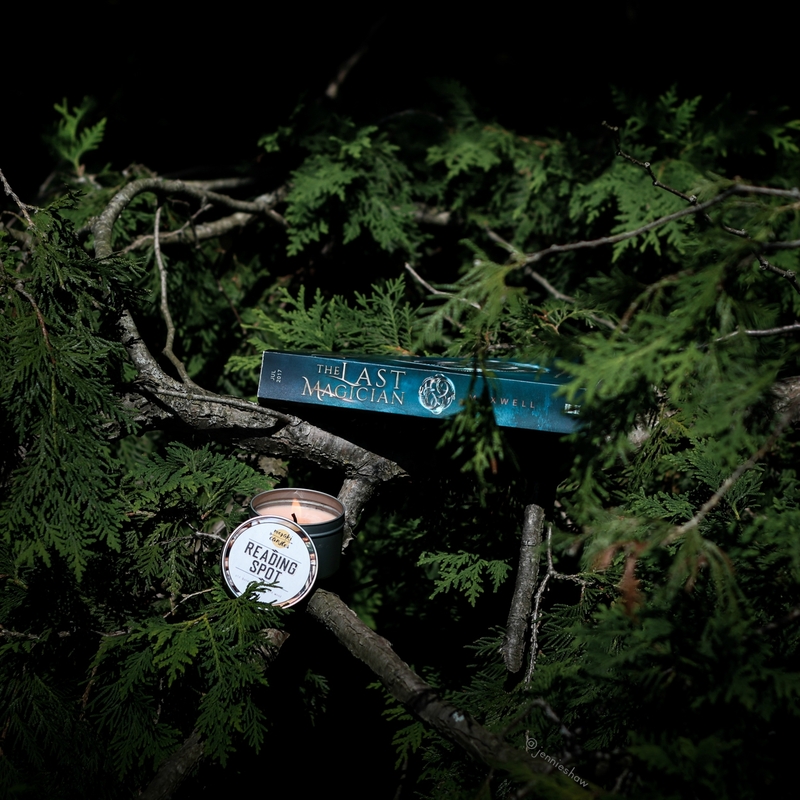 You know how sometimes you fall into a book so deeply, you kinda start to believe you’re part of the world? Having vivid dreams that linger all day and drifting off during check-out at the grocery store? 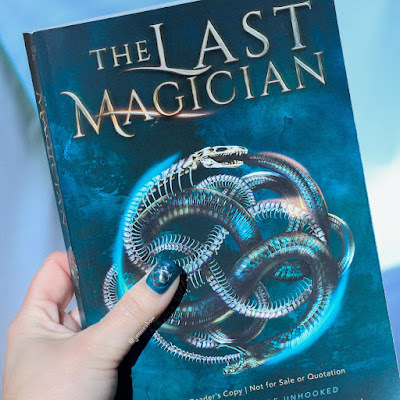 It’s only happened a couple of times for me, both being Feyre/Rhysand related, but now I have a new addition to that exclusive list: THE LAST MAGICIAN, and I’m basically jumping up and down right now because I’m so excited to tell you about all the awesome!! By about a quarter of the way into THE LAST MAGICIAN, I was fully invested, but to keep it real, I needed a few chapters to acquaint myself with the rich writing and thoughtful tone. At first, I wasn’t sure if this was the right sort of book for me, as I usually gravitate towards zippy plots, and a high level of description—character’s thoughts, setting, and backstory—slows things down. However, when done well, that sort of detail creates an immersive reading experience. 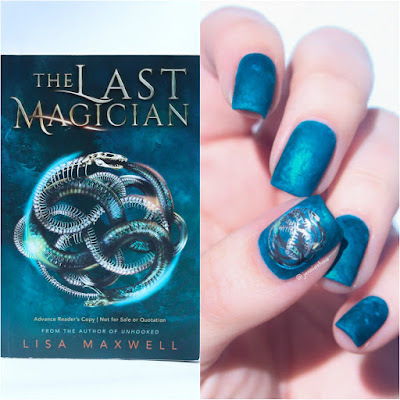 A 360 degree view, if you will, which is what Maxwell accomplished with THE LAST MAGICIAN. In fact, it’s the sort of book that makes me grateful for third-person narration, because not only did I get Esta’s point of view, with opinions and feelings she never would have articulated in first-person, but several other characters received the same treatment and the end result was phenomenal. I mean, I guess there’s a point in there, which I’m sure could be mansplained to me by a self-proclaimed expert, but who the heck cares? This is fiction, people, not a textbook! They have no duty to be a realistic portrayal, their duty is to tell a story. That said, I give major props to how Maxwell handled this “controversial” concern, because at all times, Esta remained aware that she was a woman with twenty-first century sensibilities, living in 1902 Manhattan. And although there were other strong female characters, Esta’s confident behavior drew more bewildered attention, and at times, she had to check herself. Male characters often found themselves both attracted and put-off by Esta’s personality and I had a few giggling moments when they were left scratching their heads. I also experienced a handful of verklempt moments, because certain scenes reminded me how far women have come when it comes to being seen as equal. SO TAKE THAT, HATERS. Maxwell smoked your complaint and did it in the most marvelous of ways. To circle back to the 360 degree view of the plot, I really loved Maxwell's clarity, in regards to characters' dispositions and desires. Being able to anticipate reactions, and how those desires will inevitably collide with others, is one of the joys of reading. After spending 500+ pages with this rag-tag crew, I feel like Esta and her friends are part of my life, and now I’m on my knees in the rain screaming ESTAAAAA, as I have to wait an entire year to find out what happens next. BECAUSE HOLY THE END OF THIS ONE. “Mind-blowing” doesn’t even come close. Like, put a pillow on the floor, people, because your jaw is gonna drop. So if you’re into YA novels with magic, intrigue, heists, with a dash of social commentary, this THE LAST MAGICIAN is the book for you! But also...how did you do your nails? Inquiring minds need to know how to reproduce that smoky blue gorgeousness.